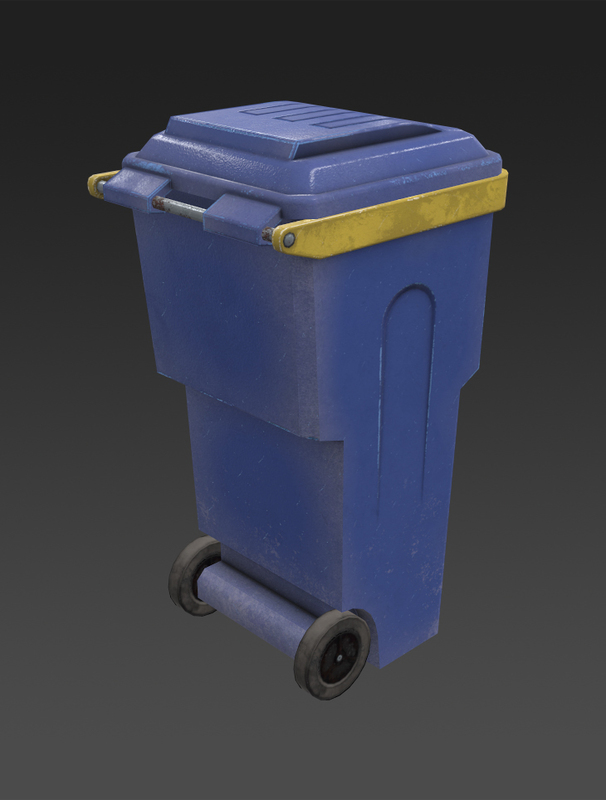 Trash Can low-poly 3d model ready for Virtual Reality (VR), Augmented Reality (AR), games and other real-time apps. Features: - Game Ready - Suitable for 3D Animation props in medium distance - 4 LODs. LOD0 until LOD3 - Unwrap UV, Fully Textured. 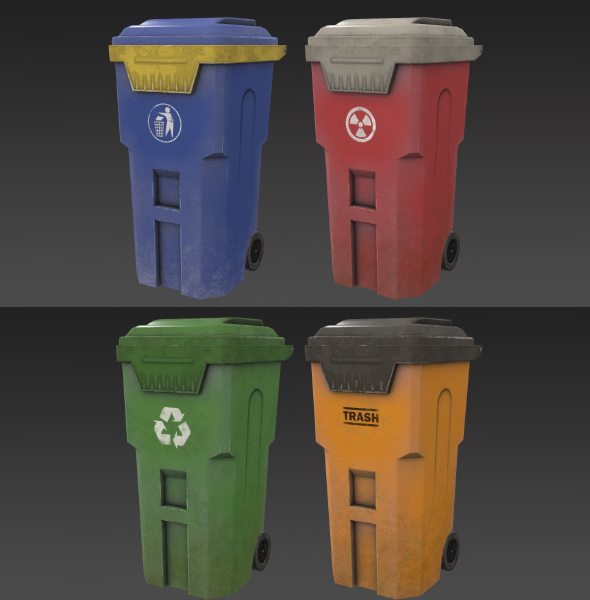 - Contain 4 texture variations of albedo trash can. 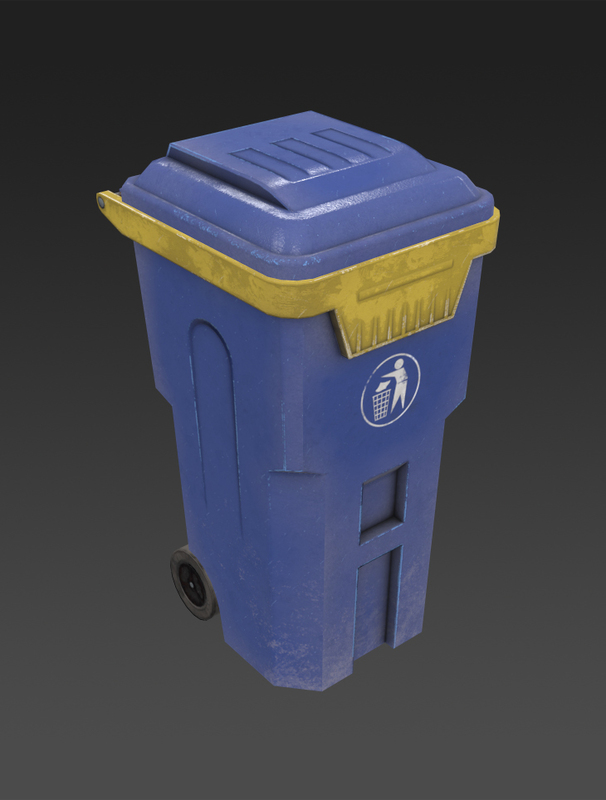 - PBR Textures. 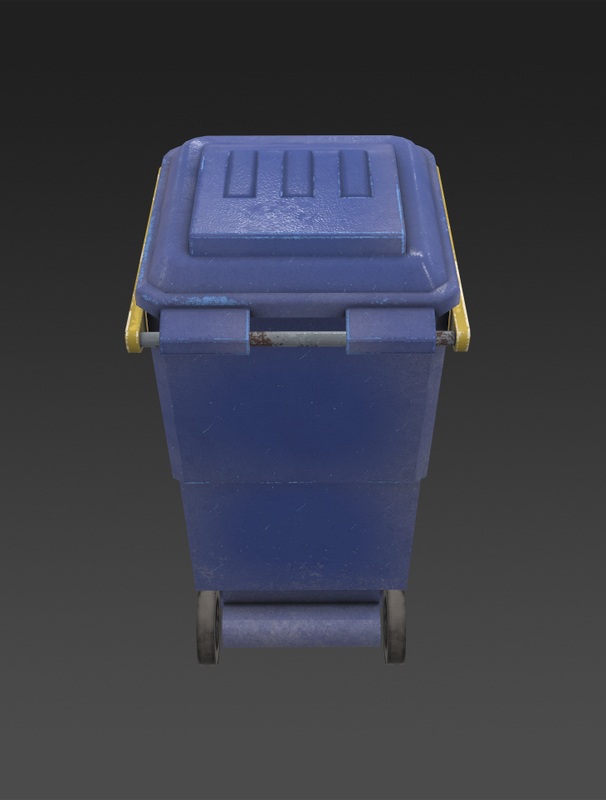 Contains : Albedo, Normal, Roughness, Specular, and AO. - Real World Scale. Preview Render from Substance Painter Iray and Maya Viewport.